Okay, so that’s a deceiving title. I’ll explain. 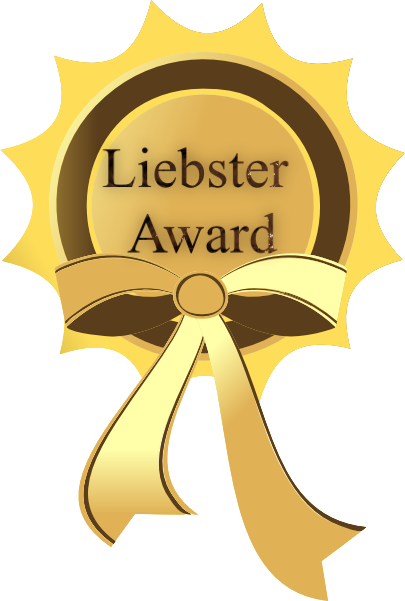 I’ve (my blog has) been given a Liebster Award. If you look up the meaning for ‘Liebster’, the answers that you shall get are - beloved, dearest, sweetheart. But this meaning has got nothing to do with my post, apologies. Liebster Awards are given by bloggers to other brethren. You get it and pass on the torch to ten other bloggers. First things first, this Liebster has come to me from a fellow blogger I’ve had the pleasure of knowing recently. Prasanna Dasari. Thanks pal for this one. What’s your poison? Show me the money honey or, Saala main toh sahib ban gaya! Okay so I comment, you comment, we all comment for……. It’s been a while since we’ve been discussing topics of international, national, even gully importance. Its high time I knew whom I’m talking to. Tell me more about yourself, shall ya? Hitting the keyboard and cursing the wifi is what our free time mostly comprises of. Other than that, what’s your relaxation mantra? Some intelligent soul once said to me, that he thought Global Warming equals to the climate getting warmer! Never mind, one tip/advice that you would want to share with all readers for doing their little bit. Any wish (better still if it’s a secret one) for Santa this year? All of you rock. I sincerely hope that you do enjoy answering these questions, as much I had fun framing them. Apart from the above 10, I wish I could have nominated all the lovely friends in blogosphere that I’ve had the fortune of knowing. Rulebooks, huh! I’ve been writing from school days, essay competitions back then and serious writing later in life. When I realized my toddler’s soon gonna spread his wings out, and leave me lots of time for myself, I took a u-turn and ran to my forever passion for help. I write about anything and everything under the sun. Try and stop me. I’m a newbie myself. But like every other Agony Aunt, when it comes to giving advice I go all out, doesn’t matter if I need some myself. b. Incorrect English is a strict nono. Hitting the keys again after my dad passed away. But it was him who had been the happiest about my blogging decision, and so here I am. Contentment, mental peace and happiness. I hold on to my loved ones. Anything that comes from the heart, buddy. Not as much as I’d want to currently, given I have my hands full. Once Master A starts school, I’d be able to devote more time. My village in Konkan, tranquil and innocuous. And every other place where I can spend quality time with loved ones. M’s for (nothing but) Mom! 10b. One thing about blogging is having the ability to find your voice since there are millions of other blogs out there to compete with. How did you find “your voice” or your style of blogging for your blog? I just speak my heart out. I guess that’s it. Now it's your turn, nominate 10 more bloggers with 10 more questions for them. Thank you so much Leena! So kind of you to think of me. Wonderful to know a bit more about you and yes, those questions are interesting :):) Written with a twist! First congrats. Nice twist in usual award questions. I was nominated now it seems long time back... Good to have such friends who value what we write. And also thanks for passing the baton over to me, its truly a honor. While I surely will write a acceptance blogpost answering the questions posted but probably will not pass it over to others. Thanks Shoma! Yep thats true, it is good to have such friends indeed. Thanks Leena. It was good to know a part of you through this post. I will surely write a post on this. Congratulations on being the recipient of the award!! Thank you for the award but unfortunately my blog does not accept these awards. My apologies. Congrats for the award ..Good to know many things about you . The quote you like is really inspiring. A stunning post from you Leena :) Congratulations! for the award and am glad about it. All your answers are brilliant, i really liked one of your favourite quotes "Nobody can make you feel inferior without your consent" And so far i know you are best in blogosphere. I'll be roaming around your blog for your posts they're indeed very interesting. Have a great day, happy blogging. Congrats for your award .. :) Enjoyed reading your answers! Look forward to your post Vishal! Get the ball rolling! You are welcome Sujata. Await your post! Same pinch on a lot of things dearie! You know very well Mani, the pleasure is mutual :). One of the good things about blogging, making friends like you! Never mind Deepak, my bad. I should've checked with your beforehand! Thanks for stopping by. And do keep coming by, it shall always be a pleasure. Have a great weekend! and the answers that you gave were awesm too. Thanks loads, Leena for nominating. Thanks so much Shraddha dear! Have a good weekend. So great to see a lovely list here...so many achievers! Congratulations to you too ! Congrats on the award Leena!! Congratulations Leena, for winning the award and for writing brilliant answers. Also, thank you for nominating me. I'll surely get back with my nominations and answers. Thanks a lot for the nomination, Leena. You are very kind. :) Congratulations on the award. :) Loved reading your answers. No worries Vinitha. Get well soon. And the pleasure was mine dear!